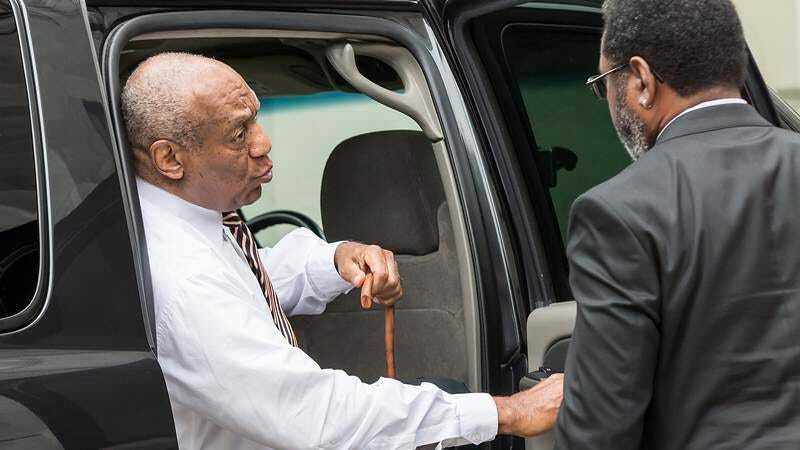 With the jury still unable to reach a verdict after three long days of deliberations, things are starting to get chaotic outside the Pennsylvania courtroom where Bill Cosby is currently on trial for three counts of felony aggravated indecent assault. People have showing up at the courthouse in increasing numbers, waving signs of support and of criticism as the jury attempts to determine if Cosby is guilty of the 2004 sexual assault of Andrea Constand. There’s nothing funny about that, but Cosby seems to be having trouble accepting the gravity of his situation. This isn’t the first time he’s done this, either. NBC News caught him on tape doing the same thing last Tuesday, June 6, after the second day of the trial proper. When he hears a supporter in the crowd singing part of the Fat Albert And The Cosby Kids theme, a cowed Cosby suddenly perks up, repeating his famous catchphrase.